Properties in Fuda Tenjinsha Shrine average 4.3 out of 5 stars. Property 2: Stylish apartment close to JR train Station. Property 6: Lovely Studio Near Shibuya! Property 11: Sunny living room with a separated bedroom close to JR train Station. Property 14: Near Shibuya Crossing 8 minutes Walk !! New build cozy room . Property 15: Today's Style and Comfort Near Olympic Park! Property 21: 【NEW】NEAR station!Shibuya 4min train!FREE Wifi!! 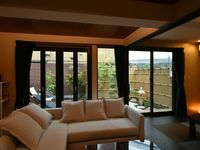 Property 25: Shibuya modern new wooden house!! Property 34: Olympic Park Near Shibuya 10 Minutes! Property 37: Today's Relaxing and Fun Studio! Near Olympic Park! Near Shibuya, Quiet And Relaxing Yoga Area! 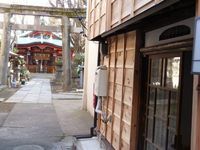 Property 47: Near Shibuya, Quiet And Relaxing Yoga Area! Property 49: Shibuya 109/scramble crossing/Mega Donquijote 4 min on foot spacious cozy flat! Today's Bright and Cozy Room, Near Shibuya! Property 50: Today's Bright and Cozy Room, Near Shibuya! It was nice to spend a few days in this lovely place and the extra welcome at the train station was definitely a plus! Thank you!